I still have people arguing with me that illegal immigrants can not use welfare programs that take money and other resources away from American citizens. So lets just get down to the facts. Illegal immigrants defined as persons who have entered the country with out authorization, or persons who have overstayed their legal right to be in the country. So we have a multi level question here. Are these people allowed under the law to use federal welfare programs intended for American citizens? Are they using these programs or not, and what is the cost if they are? That is one hell of an EXCEPT there wouldn't you say? All of these programs are specifically designed and intended to aid low income American families, the elderly, and the disabled. These are the people all of our social welfare programs are meant for, not non citizens whether they be legal or illegal. Pure and simple, the more resources being used by illegal immigrants means less resources are available to the people they are intended for, low income American citizens, the elderly, and the disabled. The only way to look at this is that the government is straight up stealing money and resources meant for American citizens and redistributing it into the massive population of illegal immigrants. 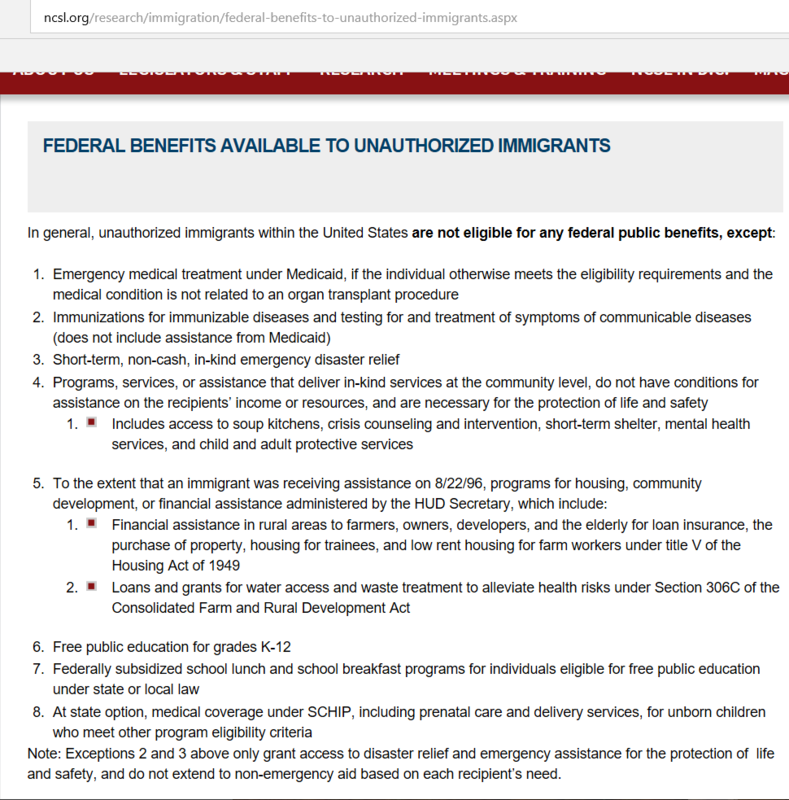 So our answer to the first part of the question is YES, illegal immigrants are "eligible" for almost every welfare program American citizens are ENTITLED to. 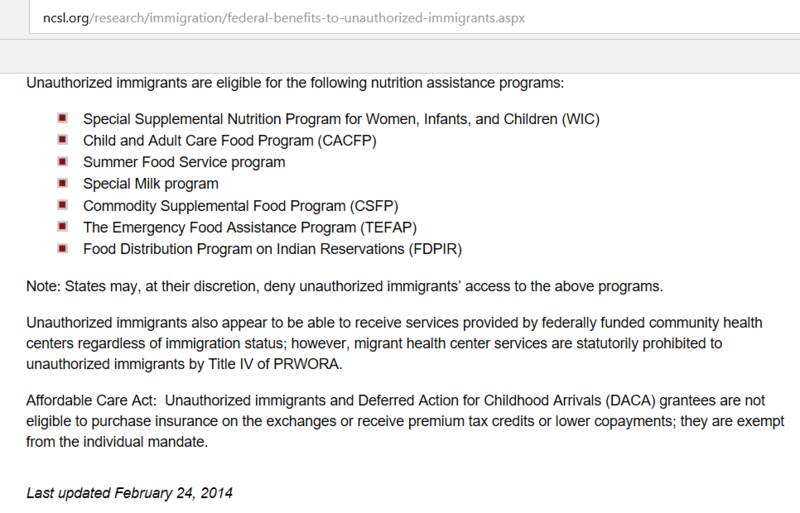 Looking at the list above we can determine that illegal immigrants are indeed allowed to use pretty much every welfare program set up for and available to American citizens. So now the question is are they using it? Wouldn't you? "We estimate that 52 percent of households with children headed by legal immigrants used at least one welfare program in 2009, compared to 71 percent for illegal immigrant households with children. Illegal immigrants generally receive benefits on behalf of their U.S.-born children." They come here, they have a kid, and they are instantly eligible for all welfare programs. This "anchor baby" policy is unconstitutional and has led to an average of 1 in every 5 US births is to a legal or illegal immigrant mother. That is a very bad ratio. A 2016 report also by CIS shows very similar numbers so not much has changed. So are they drawing welfare benefits intended for American citizens? Oh yeah, BIG TIME! So anyone who tells you that these people CAN'T, or ARE NOT drawing welfare meant for American citizens either has no clue what they are talking about or they are lying to you to push a political agenda or narrative. Like corrupt politicians, and the main stream media. So lets look at cost. Remember, this is in BILLIONS of dollars. 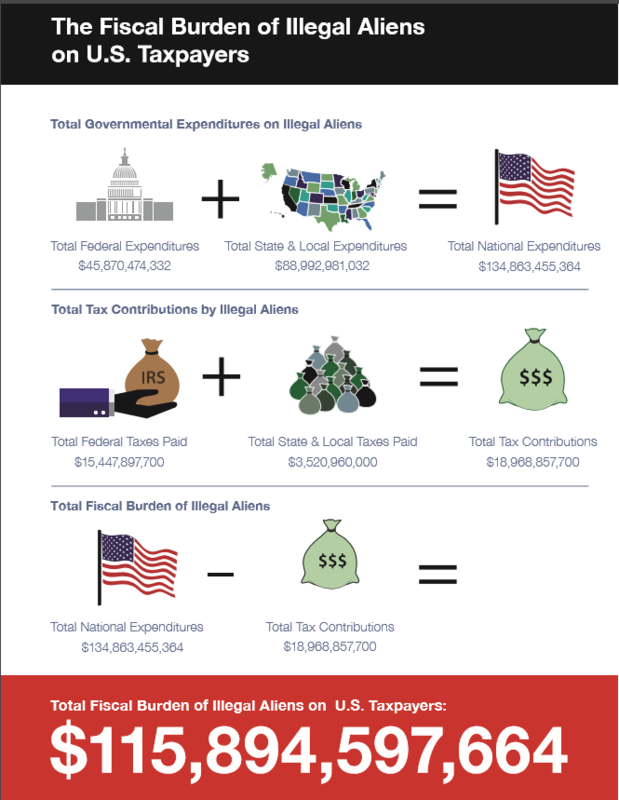 I did the math and this means that illegal immigrants tax contributions are less than 15% of what they COST the American taxpayer every year. So anyone telling you that they are paying their way in taxes... not even close man! And the wall by the way, $5.7 billion (total) and it could cut the above (annual) fiscal burden down to almost nothing meaning that money would then be available for the American citizens it is intended for. 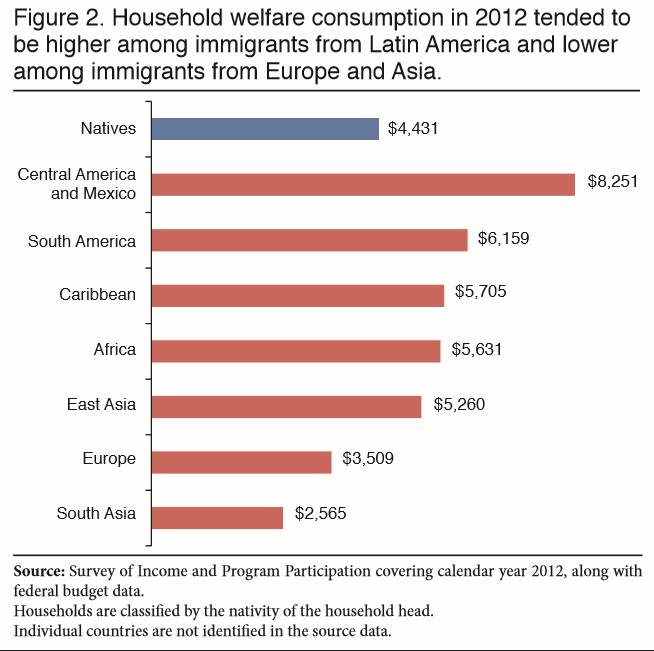 According to other reports the amount of welfare costs to immigrants (legal and illegal) exceeds the amount of money (resources) going to native born American citizens. We can get an idea of that difference from a 2012 report by CIS explaining the range. The graph below also shows the demographics of the people who are drawing these welfare resources. Just think about what that 116 billion dollars a year could do if used to help homeless Americans, feed poor American families, provide low income housing. All of the things it was meant to be used for. People are always screaming that there is no money for the poor in this country while at the same time they are giving the money paid in by taxpayers to help the poor away by the fist full to illegal immigrants. That money was not meant for them and they are gobbling up the majority of it while American citizens do without. That's not right man, plain and simple. Now as always this all comes down to what each of us chooses to believe. I am not here to change anyone's mind about anything. I simply don't have that power, only the person themselves can do that, I just offer information backed up by sources and am always willing to debate what I say. I do not concern myself with all of the emotional noise, there are already enough screeching fools out there trying to force people into accepting their opinions as fact which are for the most part based on incomplete or intentionally altered information to begin with. Keep your talking points and opinions people, I deal in facts. Believe half of what you see and none of what you hear. Verify everything.